Which Type Of Facebook Ads Should You Use? Hey, everybody! On this video, I would like to help you to know if you should use video ads or image ads for your Facebook ads campaign. 2- Create video slideshows using well-performing images: You can create these within the Facebook ads platform itself. You can select a bunch of images to create a slideshow based on those images, and those will be considered videos Images. 3 – Get an App to make your videos: You have apps to create your video like Quik or Shaqr for Android, if you're not a video editor, you can actually get quality videos done by combining images and text. By giving some value on your ads you’ll get people watching your video and engaging with your post. So, give videos a go, create a good content for your audience and you will succeed with your Facebook ads. Should you use video ads or image ads for your Facebook ads campaign? Let's find out on this video. Hey, what's up guys, Hernan here and welcome to another video and I hope that you guys are kind of enjoying these shaky camera type of videos and I'm trying to do something different from time to time so that i don't bore you guys the whole camera set up and what not, so let me know if you guys dig this and if I should be making more of these type of handheld videos. Now a question that I get a lot and I actually was talking to one of my coaching clients the other day, was the fact that he was launching a completely new campaign with a completely brand new pixel from a completely brand new business manager, an ad account and he started asking me, “Hernan should I use video ads, should I use image ads, what should I do when I am starting out?” And that's a question that I want to answer on this video as well. Now with that said, remember guys that you can always come and join thee free Facebook group. On the free Facebook group we have a lot of questions like this being answered pretty much every day by me and other Facebook ads experts provided that I'm a Facebook ad expert, but anyways, it's pretty cool and you should definitely join that free Facebook group. So I told you guys before, the difference between video ads and image ads and how Facebook loves videos, so the first answer would be, if you have the possibility of using videos for your ads, you should definitely take it. Because again, Facebook stills favor video versus images. And when it comes to their platform, they love videos and they're producing more and more video placements. Meaning that right now you can promote your videos on Facebook, on Instagram, on Instagram stories, on Facebook stories. You can even promote them sponsored videos, in raw pre-ads, etc., etc., etc. So video is really, really powerful. Now that doesn't necessarily mean that if you don't have access to create videos you cannot succeed with your Facebook ads, right? Images can also work really, really well. But here's the thing, you have a pretty … I mean, if you have a smartphone, like over the past two years from now, you have a video studio in your pocket. Like right now I'm recording with my phone and granted I'm using this little tool right here to record the audio, but you don't need these type of stuff. You should only … all you need is maybe, I don't know a microphone for your phone or maybe you can use the earbuds, if that's something that you want to do. But the bottom line is that there's no excuses for you to create really amazing videos for your audiences. Now with that said, there's also the possibility of creating video space on slideshows, and you can create these within the Facebook ads platform itself. You can actually go ahead and select a bunch of images and you can create a slideshow based on those images and those will be considered videos, so they will be getting the exact same reach and frequency and everything, all of the good stuff that the videos have. Also, as option number three, you have all of this little apps you can use, for example Quik for Android, and there's a bunch of apps that you can use that they're online, so if you're not a video guy, you're not a video editor, you can actually get amazing videos done and really good quality videos by combining images and text, by using stuff like Shaker online or by using something like Quik for your phone and whatnot. So, there's pretty much not an excuse right now for not be creating videos for your audiences. And here's the thing. You see me, you see this type of handheld type of camera, right, and sometimes I'm not even shave and I have my hair long, and the reality is that this type of videos work really, really well on Facebook. If you think about it, people go to YouTube and they might find these type of videos and they saying, “Who is this hobo that's on my screen right now,” because people are really used to high quality production videos. If you go to Facebook, if you go to YouTube, sorry, you're trying to learn something, you're trying to consume content, so these videos could really work, really well, depending on what type of messaging you're trying to give to your audience. But on Facebook this type of informal type of videos work really well. Why? Because people are just hanging out there, they're just consuming content, they're hanging out with friends, they're communicating with their family, they're seeing kid in pictures, so the mindset when it comes to Facebook works really, really well. Now not only that, but the main videos and the top type of images and pretty much any kind of ads that you can create video images, etc., etc. The best type of ads that you can create, no matter if you're using videos or if you're using images, is the value type of ad. Meaning if you have an image that you want to push and you want to test it on Facebook, you should definitely try to go ahead and develop and deliver some value in your copy. That's why long form copy with images work really, really well, but you want to give away some value on your ads. That's right. 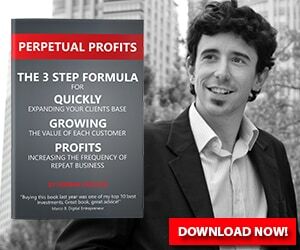 You want to give some value on your ads. These shouldn't be just about, hey go here, click my stuff, download this stuff. I'm seeing that they work really well if you give away some value. Again, videos will allow you to do that on the video itself, so giving away value works really well when it comes to any type of advertising, whether it is images and videos alike. Now, something else to have in mind and to consider is the fact that you can create additional campaigns for videos. So let me put an example. Let's say that you're pushing an e-commerce product, right, and you're trying to push it through a video. You create those little 10 seconds, 15 seconds, 20 seconds videos, for your e-commerce product and you will run a conversion campaign based on that video, right? So, that's like the normal SOP, the standard operating procedure, when you're trying to go ahead and promote your product or your services on Facebook. Now with that said, there are additional campaigns that you can create for your videos. For example, video views campaign. You would create that video, you would create that post and you would push that post and then you can use the video ID, like the post ID, right, the string of numbers, that you can use so that you can actually new type of campaigns. So you can create PP campaigns for your videos, you can create video views campaign for your videos, you can create landing page views for your videos, so there's all this additional campaigns that you can create that will feed a lot of data into the algorithm. So you get people watching your video, you get people clicking your links, you get people engaging with your post and then on the conversion side of things, you get people visiting your actual website and converting and trying to make a sale. So if you're starting out, I would really really suggest that you give videos a go. Again, images work really, really well if you know what you're doing. I've created several posts and several tutorials on how to create amazing images for your Facebook ads. 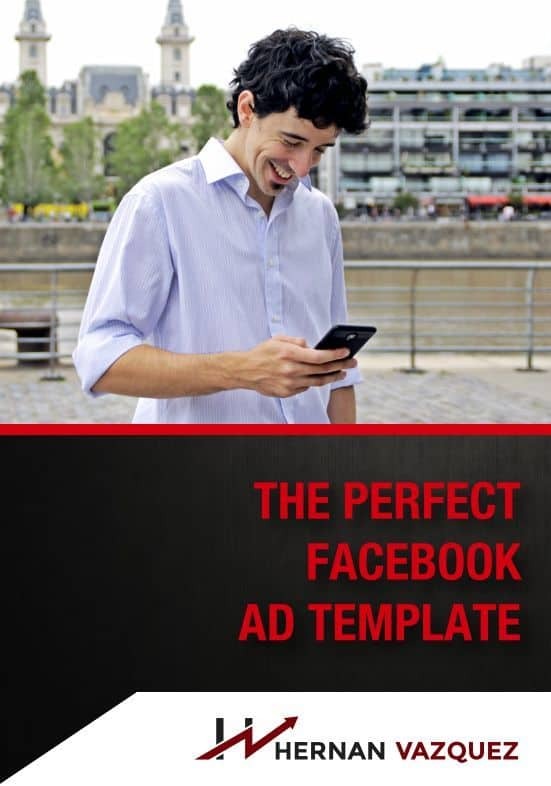 There's also the free cheat sheet that you can download that will walk you through the process on how to creating amazing Facebook ads for your audience, but give videos a go. They're getting better placements, they're getting lower CPMs and at the end of the day you can really play your cards wisely as to creating additional campaigns for the same videos so that you are feeding data much faster, not to mention the customers that you can create based on video views and a lot of the good stuff that's out there, right guys? So go ahead, give videos a go, try now, it's like the best way and the best time to be creating content for your audience, be helpful and sell good products and you will succeed with your Facebook ads. So thank you once again guys for watching. Subscribe to the channel if you love this type of content, and if you want more come and join the free Facebook group, it's completely for free and I'll see you on the next video. Bye bye.